My Leyburn socks are coming along now. I had to rip it back to the start of the patterned section once as I had too many stitches and it was a bit too big. I’m quite proud that I ripped it – once upon a time I would have blindly carried on and ended up putting a lot of effort in to get something useless out, or just put it on one side. I’m getting better at admitting mistakes and putting it right. I’m knitting these two at a time on a circular and I think this technique is growing on me. I love DPNs, but the idea of finishing knitting and having two socks all done and ready to wear is a winner. I am overthinking this pattern. To get the latticework pattern you slip stitches and carry the yarn in front. So for most of these pattern rows you are not actually knitting any stitches – but you do knit all the way across the sole. 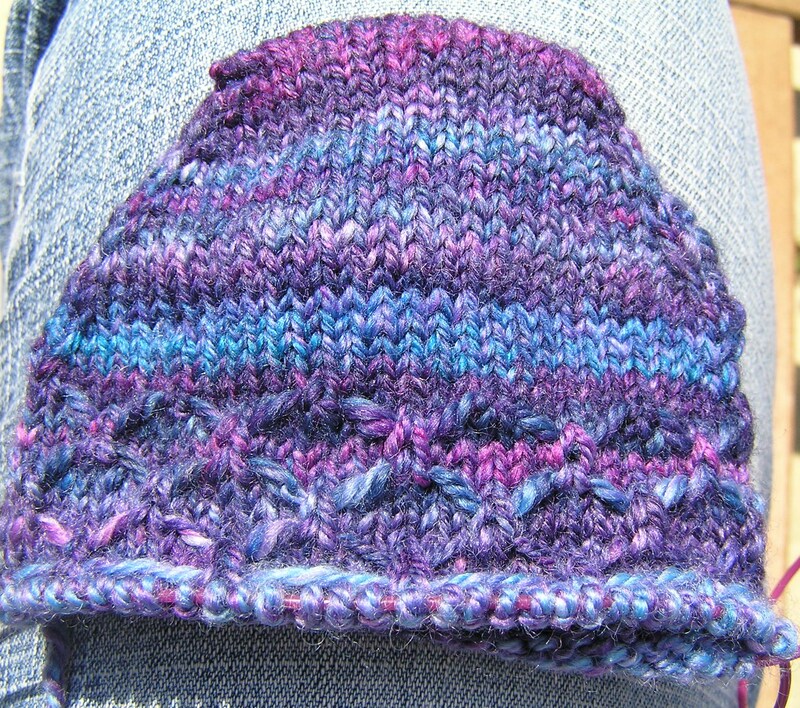 So you are knitting more rows on the sole than on the top… Am I going to end up with a short top and long sole? I’m not dwelling on this as I will have enough to worry about when it gets to the heel! This entry was posted in Knitting and tagged handknit socks. Bookmark the permalink. Like the striping! And the lattice pattern is really nice too. Look forward to seeing the finished item.